The New Hubtel - What’s Changed? See how things work with the new Hubtel design. 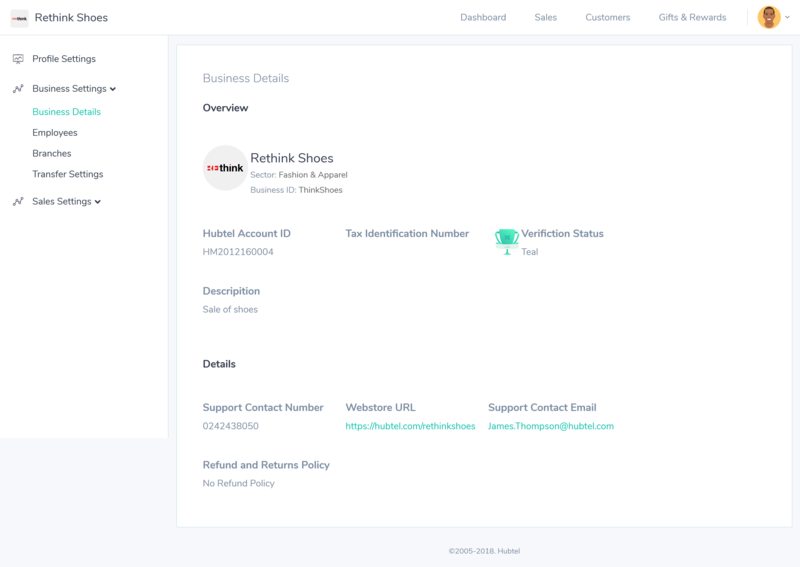 Hubtel has a new look for the features you already use, plus a new way to view all your business metrics from one dashboard, easier navigation to access features quickly and a new feature to allow you reward people with gift cards. Remember, this must be the phone number associated with your Hubtel account. Just click on Login to start. 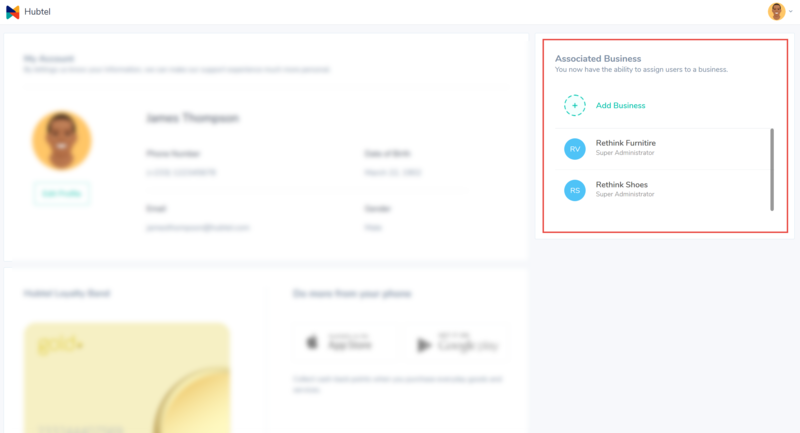 Click on the business name from the right hand side of the page to login to the business. Business Logo: Your business logo now shows at the top left corner. Business Name: This is the legal registered name of your business. 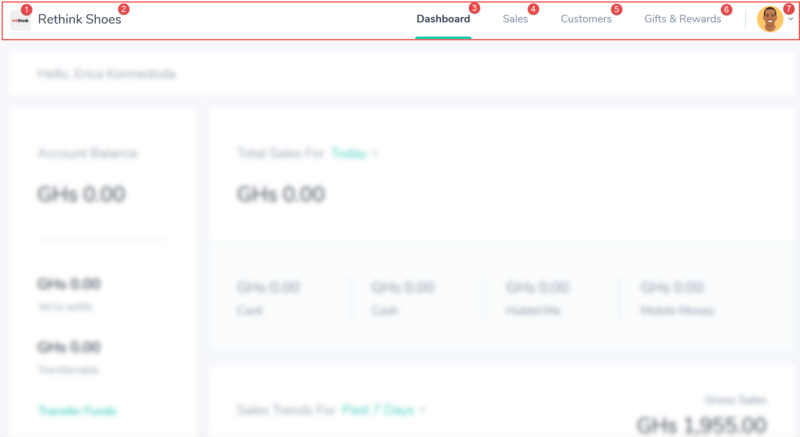 Dashboard: See all your business metrics from one central dashboard. 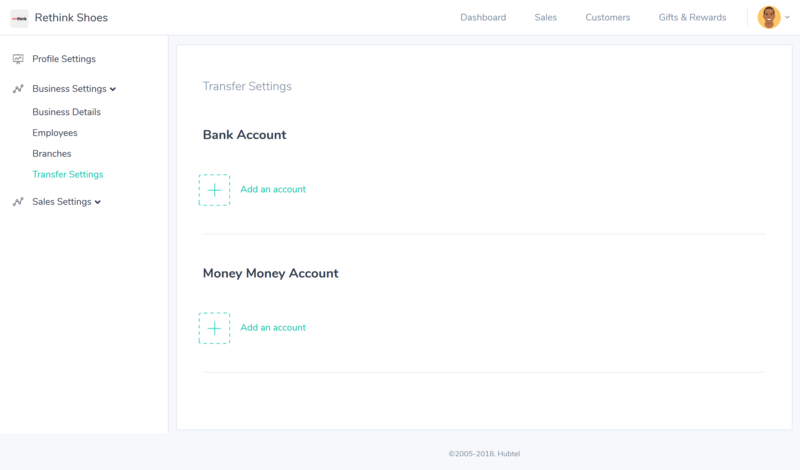 Sales: View sale transactions, manage items and manage transfers from here. Customers: View all customer information. These are people that bought from you, either from in your physical or online shops. 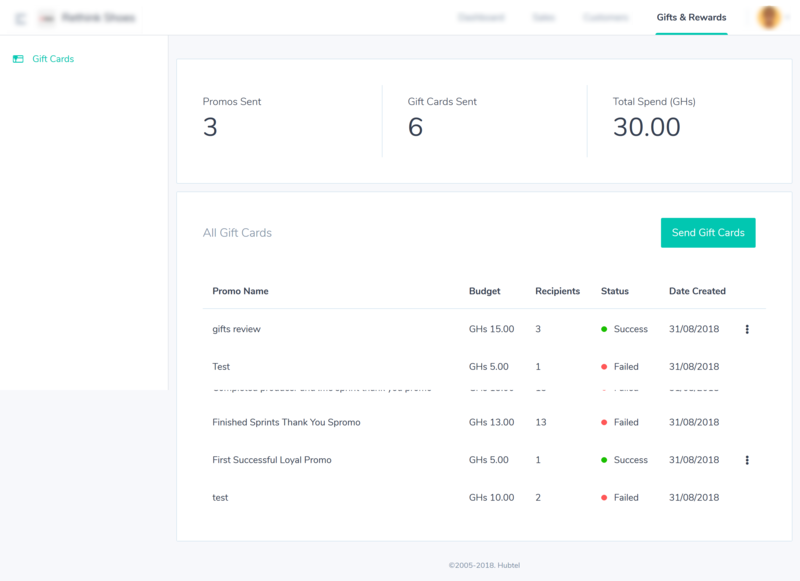 Gifts & Rewards: Send gift cards to your customers as rewards. 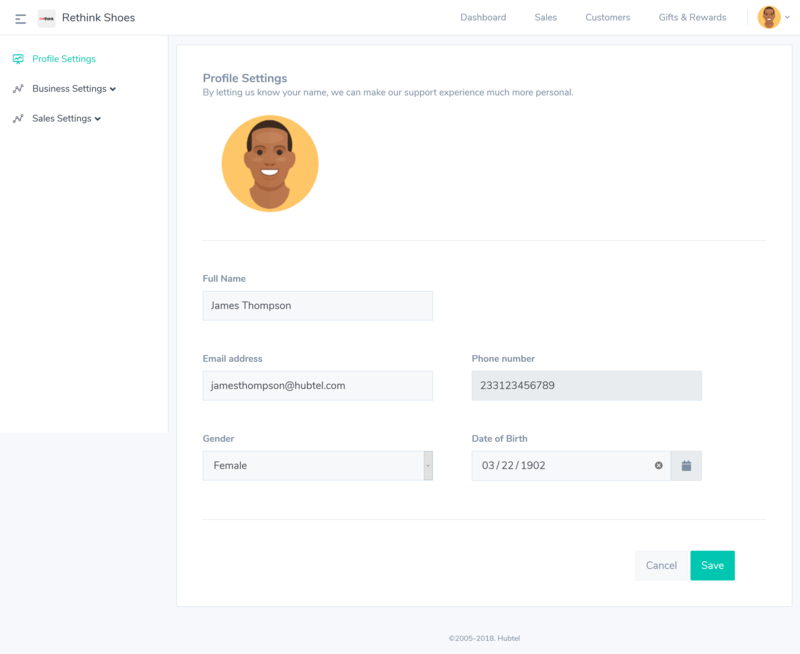 Profile & Business Settings: Change your profile and manage, Super Administrators, Administrators, Managers, POS Users (Sales Employees), branches, transfer settings and notifications from here. 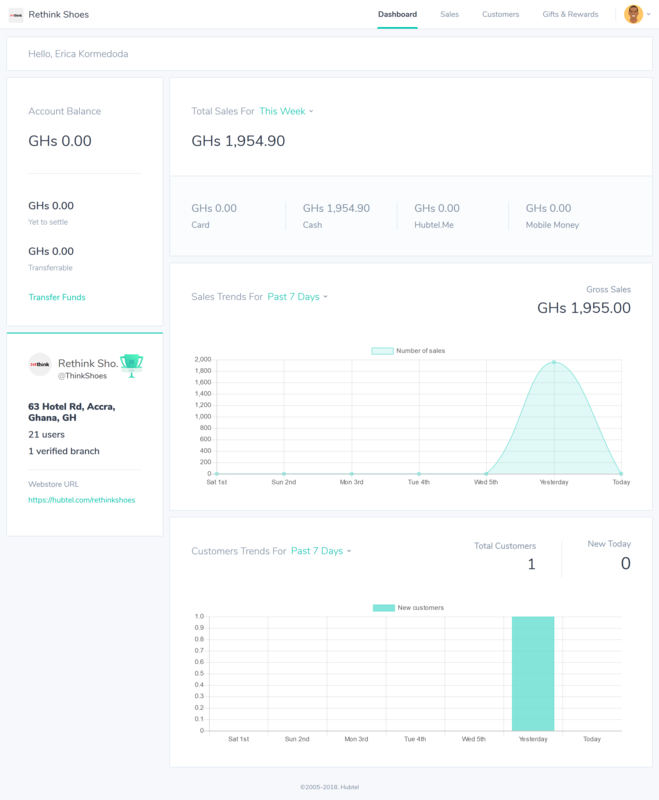 With the new dashboard, you will find snapshots of sales performance, customer acquisition metrics, your total balance in your Hubtel business account, your business branding, the total number of users and verified branches as well as your online Hubtel web store URL if available. 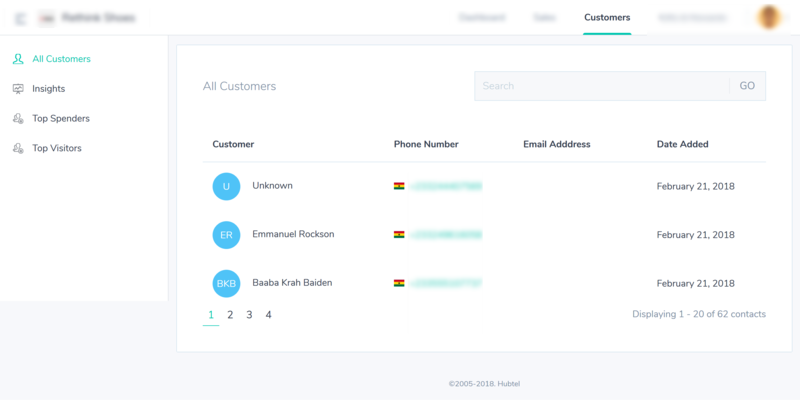 Read more about your new dashboard here. 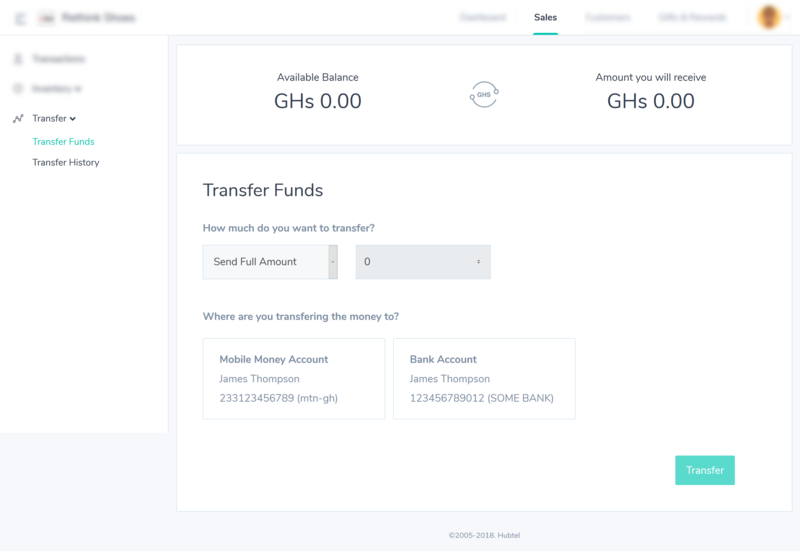 From the dashboard, click Transfer Funds and follow the steps to move your funds to an external account. Click on Sales -> Transactions to see all your sales history. Read more about your Sales Transactions here. 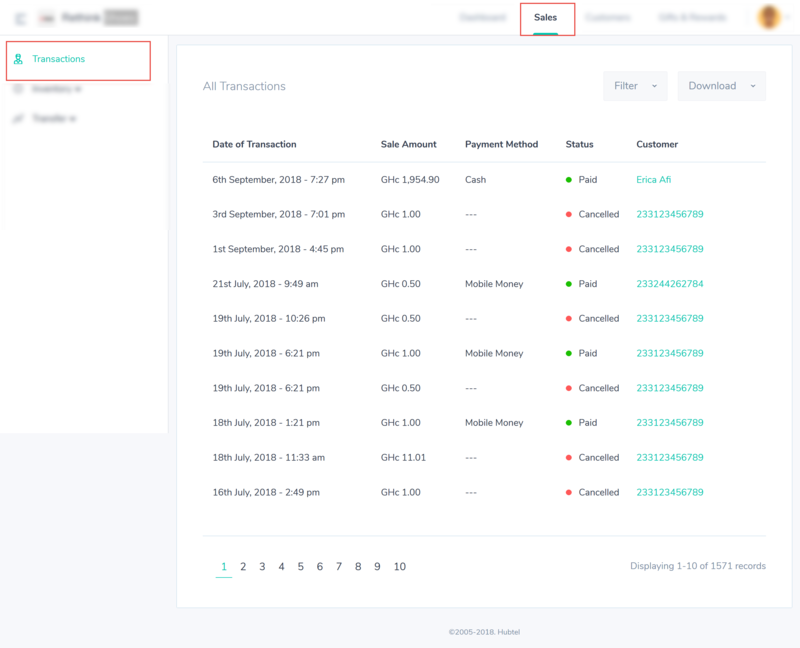 To view the details of a transaction, simply click on the row. 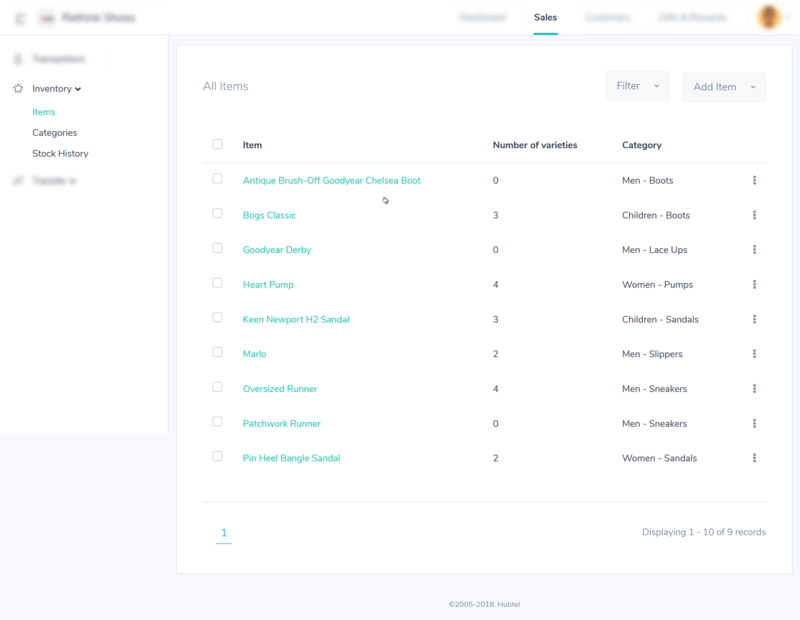 Click on Sales -> Inventory to add item categories, item details, add stock and manage everything about your product or services. Read more about Inventory Management here. Click on Sales -> Transfer to move funds out of your Hubtel account to the linked bank or mobile money wallet on your account. Read more about Transfers here. View all information of any one who has ever bought from you. Get deeper insights into who your top spenders (customers who spend the most on items or services) and your top visitors (most regular customers). 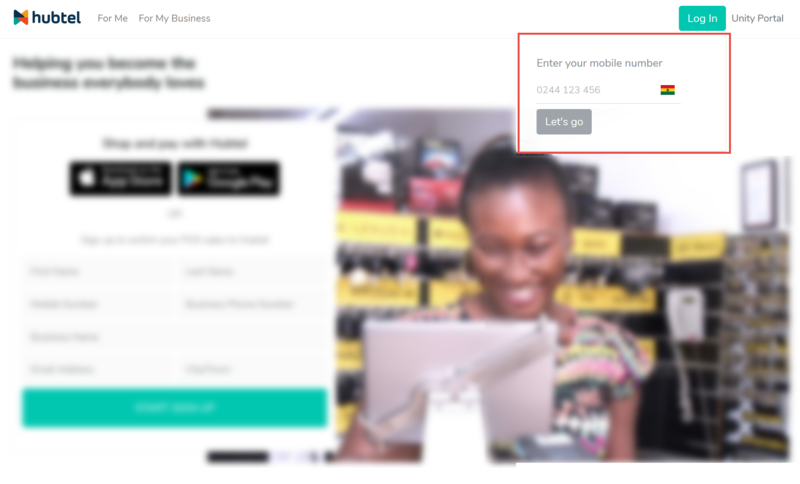 All you need to do is to simply capture their mobile phone numbers during a sale. Read more about Customer Management here. Customers that feel appreciated are far more likely to talk positively about your business and recommend it to their friends. This new feature is to help you reward the customers. Read more about Gifts & Rewards here. 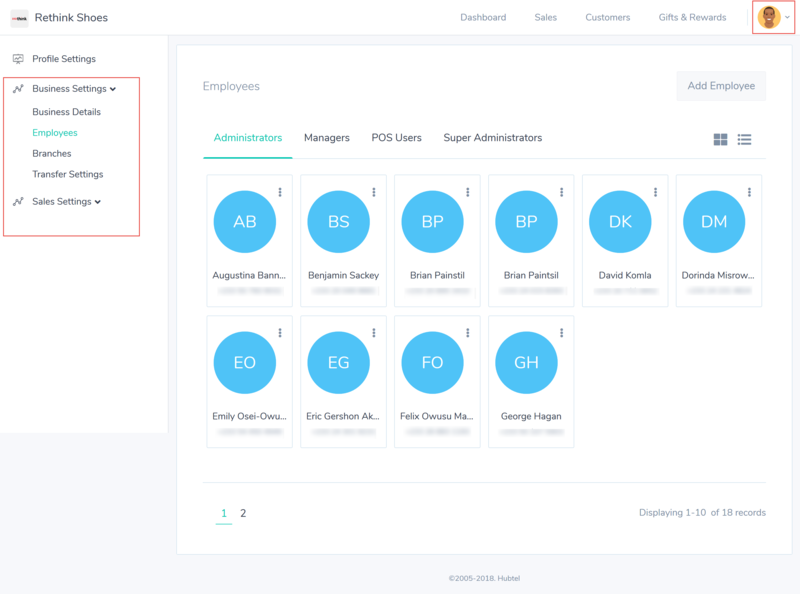 We’ve streamlined your settings so you can quickly see your employee (staff) settings, branch settings, transfer settings, notifications and business information all in one place. Correct your name, email address, date of birth and gender if we got it wrong. 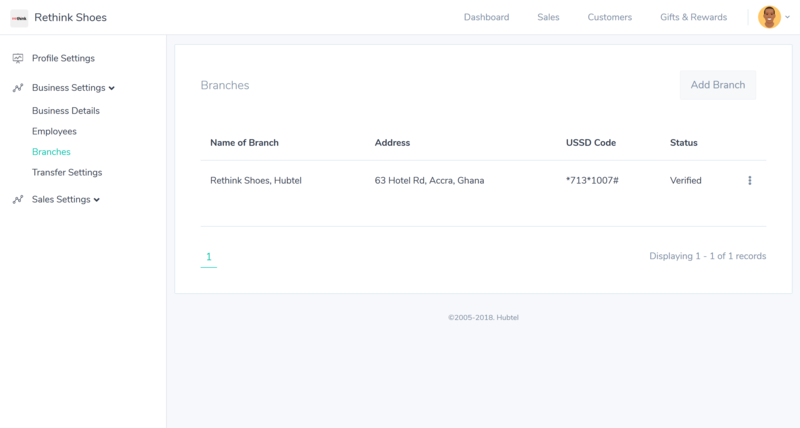 For a business with more than one store, or with a warehouse, setting up additional branches helps you to manage your inventory and track your sales effectively. The concept of branches is now simplified. Add and manage your external bank or mobile money account you transfer funds out of your Hubtel business account into. 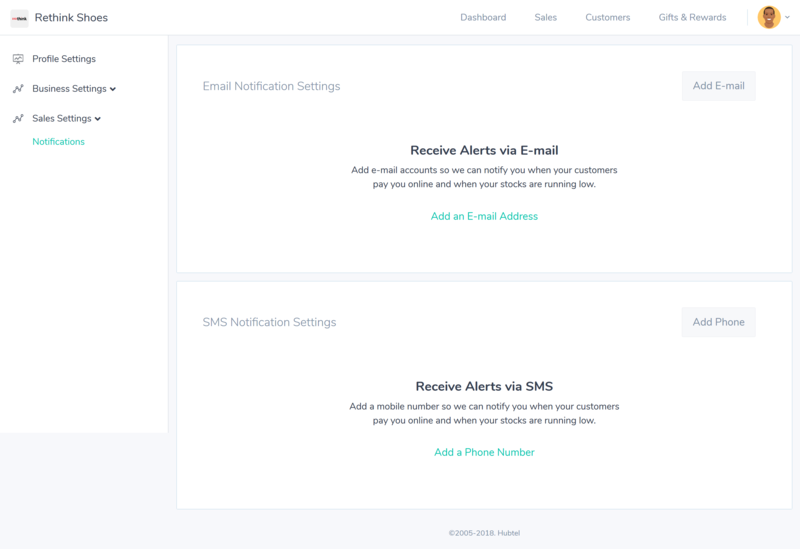 Add email addresses and a phone number to receive online sales notifications and low stock alerts. Have more questions, find answers here.